The „5. Forum E-Mobility of Schleswig-Holstein” is an event that aims at presenting innovations and perspectives of e-mobility in the North of Germany. The event was organized by the WTSH-Wirtschaftsförderung und Technologietransfer Schleswig-Holstein GmbH and included presentations of excellent/renowned national speakers as well as an exhibition of local and regional partners concerning different aspects of e-mobility. 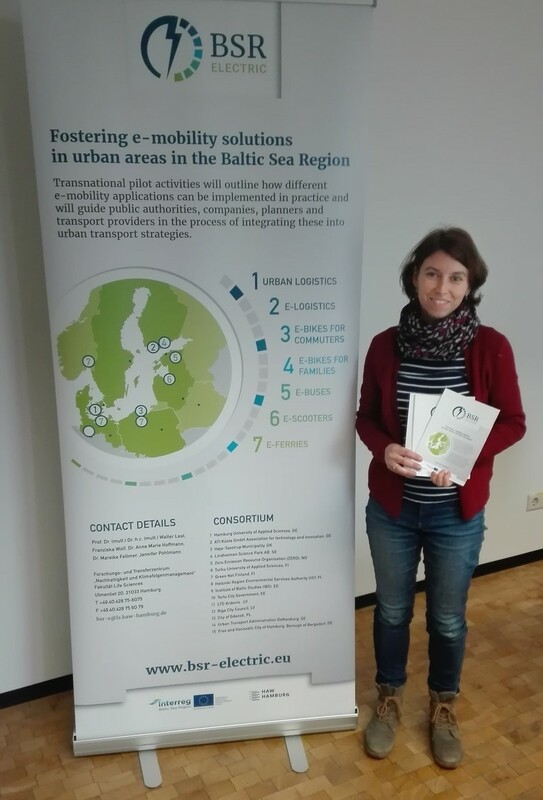 The BSR electric Team (HAW) presented the BSR electric project with different materials such as poster and flyers, and discussed the project and current e-mobility challenges and developments with different stakeholders from science, politics, the public authority and the private sector. The Minister for Environment of Schleswig-Holstein, Dr. Robert Habeck, was one of the keynote speakers of the conference and highlighted e-mobility as an essential future innovation tool to manage the energy transition in Germany.